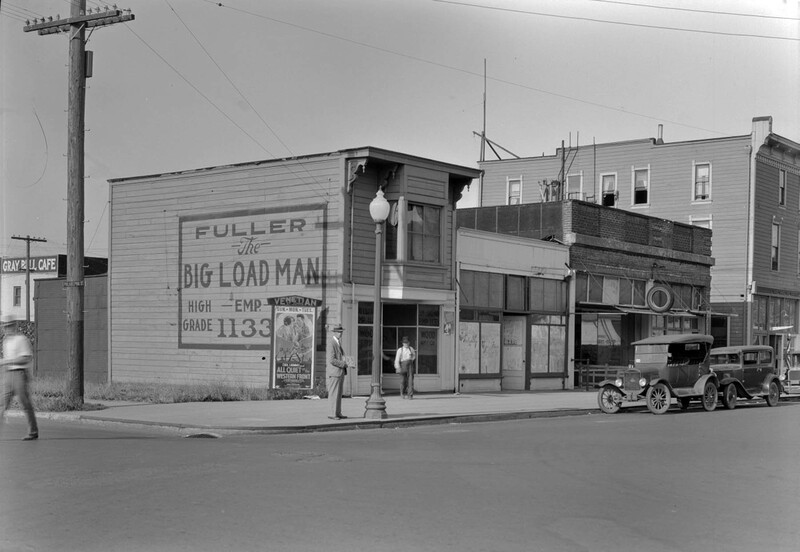 This photograph shows a number man standing outside the old St. Johns City Hall and fire station in 1932. The structure on the left of the image was identified as a bandstand, according to the envelope the image came in. The old City Hall still stands today and is located at 7214 N Philadelphia Avenue, and now serves as the Portland Police Bureau Training Division building. 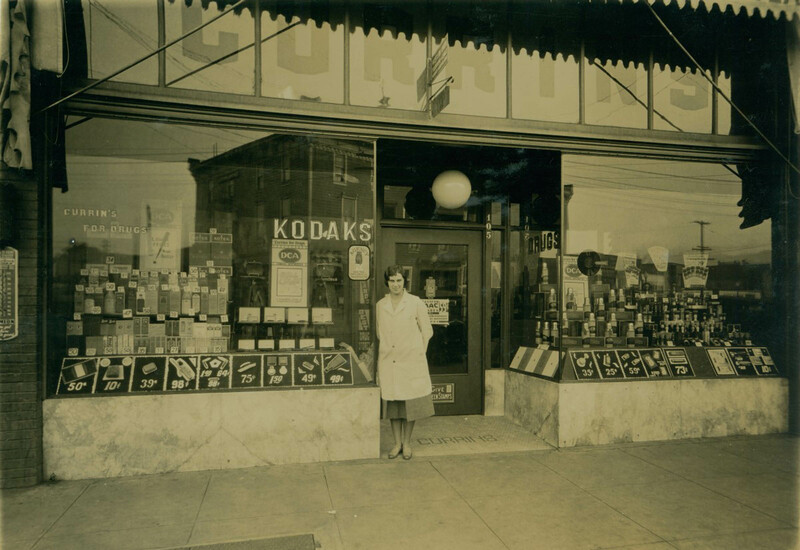 Our Number Man is documenting a corner somewhere along N. Philadelphia Avenue in St. Johns circa 1930. 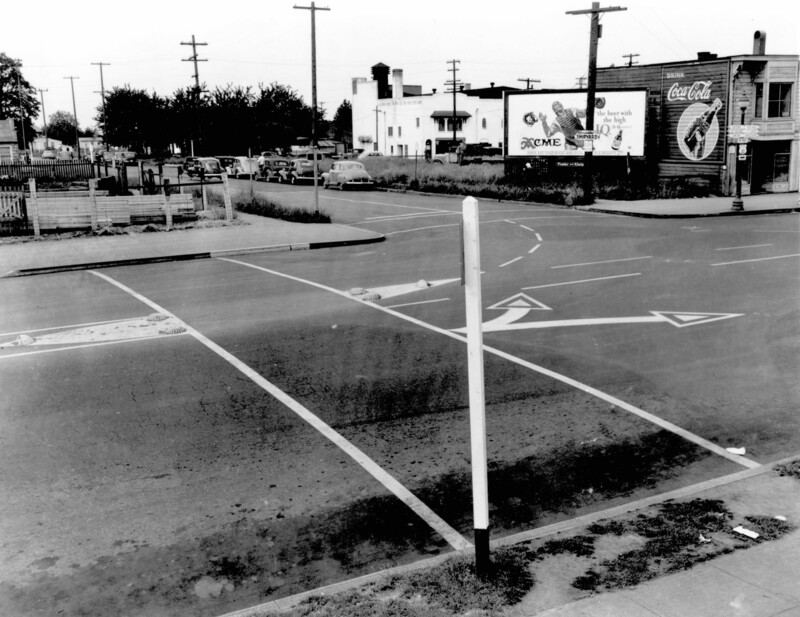 I’m hoping one of our astute Vintage Portland followers will be able to identify the cross street. East side approach ramp construction was underway in this circa 1930 photo of the St. Johns Bridge. Cabling and main bridge decking had not yet started. 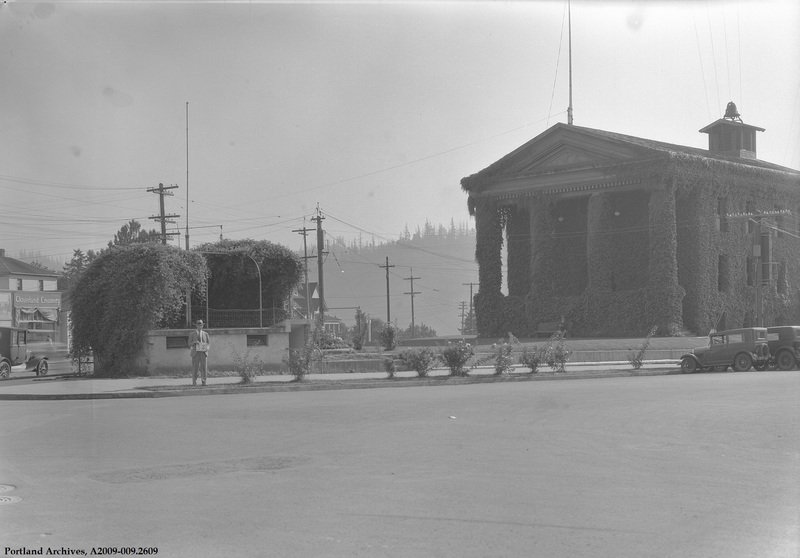 The old St. Johns City Hall building on the left was covered with ivy and a fountain once flowed in the street. 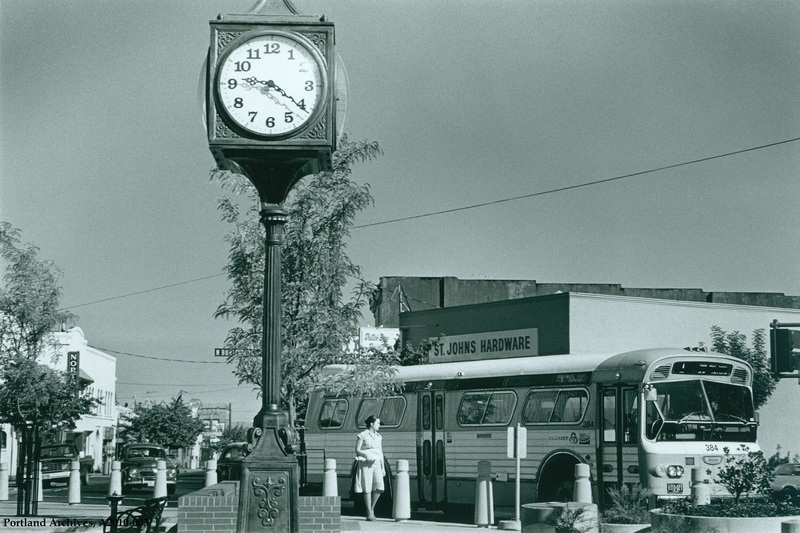 The bustling St. Johns downtown area is shown in this nice 1938 photo. The view is northwest on Lombard. N. Philadelphia comes in from the front left and N. Burlington Ave. branches off to the right. 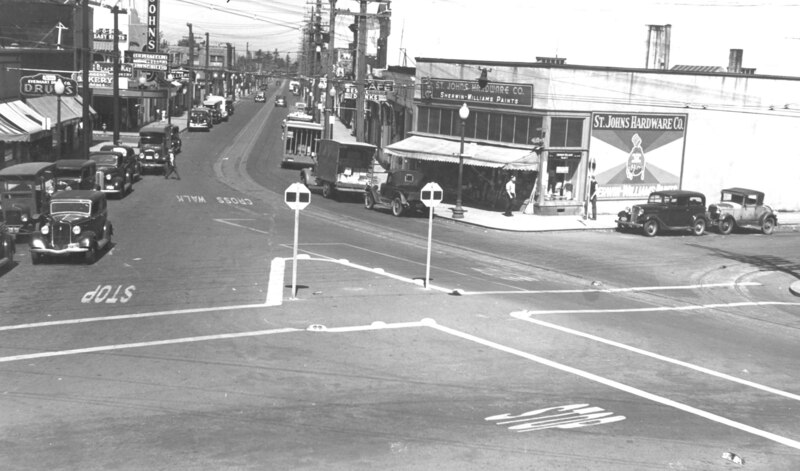 Today’s post brings us to St. Johns in 1944. This view looks north with N. Philadelphia in the foreground and Ivanhoe Street going off to the upper left. 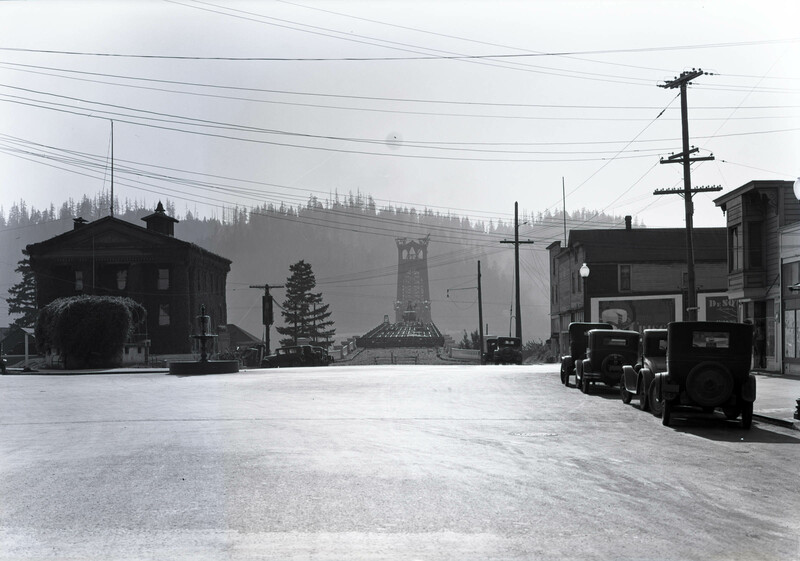 Burgerville is now at the Acme Beer sign location, and the St. Johns Cinema building can be seen in the distance.